I had the pleasure of being interviewed by Susanne Morreale Leeber, the president of the Marlborough Regional Chamber of Commerce for their ongoing cable TV series called Biz Snips where we discussed Internet marketing tips for small businesses. I thought I would share the video with you. There’s a certain amount of confusion around this what Internet marketing really is. For some, Internet marketing is a business model – i.e. you have built an Internet based business. But for most small businesses, the Internet is a new media channel that can be used to reach your target market. If you view Internet Marketing as another tool in your toolbox, then your mindset changes and you can apply basic marketing concepts to your efforts – that is who is my target audience, where can I find them and why would they want to connect and do business with my company? Internet marketing is about building relationships and gaining visibility within your target market. Unfortunately there is something inherently important about fan counts, and it is human nature for people to check out your company profile on Facebook or Twitter and instantly judge them based on the metric of followers, friends or fans. But having many fake or uninterested followers does not help your business. 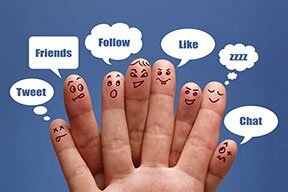 So although growing your Facebook fans or Twitter followers organically seems tedious, those who follow you may actually care about and support your business. Using a service to quickly add 2000 fans only hurts you in the long run if you plan to do anything to market to these fans or followers. Internet marketing is about creating a solid marketing plan, staying the course, evaluating your results and then modifying your activities as needed. I advise small business owners to create a marketing plan that’s flexible, can adapt to changes as the Internet evolves and fits your specific needs and overall marketing strategy. Not every new and improved online tool will be right for your business. How does a small business owner effectively market their business online when they are trying to run their business on a day to day basis? For many small businesses, it may seem that marketing gets more complicated and more confusing by the day, with constant changes to the technology and new platforms claiming help your business become more visible in the search engines. The good news is that Internet marketing has transformed into a more sensible activity for small businesses, incorporating content marketing, search engine marketing including local search and social media marketing as the primary activities. The key is to find someone who you can work with who is knowledgeable about marketing and keeps up with the latest in this space. Doing so can help you focus on your base business, which is what you do best as a local business owner. What are your favorite Internet marketing tips that can help other small businesses? WordPress Backup Strategy – Which One is Best for You? I like that you said internet marketing is not a business model. I’ve read a lot of places that claim online has killed traditional forms of marketing but I disagree. It’s all about reaching your target audience and both forms should work together. You have a well-written post. It is very informative and useful. I like how you emphasized that Internet Marketing is not about likes, or the number of followers and friends. It’s about creating a relationship or bond to a person whom you want to be your future customer. Yes, the number of likes and followers has an impact on getting others attention to look for your promoted items, but in the end, it will still be your job to convince them. Thanks for sharing this very informative post. Thanks for the nice comment Farrell – glad you enjoyed the post. Yes, it is true that having a lot of likes, friends and followers does lend credibility at first, but it is what you do after someone likes your page that counts.